Icons are everywhere in this day and age, with the advent of computers and cellphones, icons have become the main way that we interact with our digital toys. Finding good icons however has always been a struggle, many designers try to rush out icons or icon pack without putting in much thought or care, and the end results can be less than appealing to the users that will ultimately depend on these icons to navigate the digital world. On that note, I'd like to introduce to you Icontail, a great service that gives you over 2000 vector icons in one icon pack at a very reasonable price. What's even better is that we have an exclusive coupon code with a huge 50% discount for the first 100 customers! Get Icontail awesome icon packs here now! Do you want to get the details on the offer? Read on to find out more! Icontail: One Icon Pack, 2050+ Icons! You read it right. Icontail is a stock icon service offering a huge icon pack that will cover most, for not saying all, of your icon needs. This icon pack has well over 2000 icons, and if you take into account that each of them comes in both an outline and a filled variant, this works out at a whopping 2050+ vector icons in one complete package that is also super budget-friendly: only $59 for the standard pack and $79 for the premium version! Both Standard and Premium packs give you the whole set of icons and come with Commercial license. But Standard offers only AI and EPS files, while Premium pack has 7 popular formats for icons and 4 formats for fonts to choose from, granting full compatibility with any designing tool you use. And for very limited time, we have an awesome special deal that will get you all these icons for a ridiculously low price! Our special Icontail Coupon Code gives 50% Off in all Icon Packs, for the first 100 customers! Grab it now before it's too late! Icontail Special Offer: 50% Off for All Who Can Click on It Quick! At VectorGuru we bring you a great chance to get Icontail's awesome pack of icons for half of its regular price! This offer covers both the Standard and Premium version, and its valid for all customers, up to 100. Keep in mind it's a limited time deal, for only the first 100 customers in using it. It's been live for a very short time and 3 early birds have already gotten their worm and are now enjoying their icon packs at 50% Off. There's only 97 more coupons left, so hurry up and grab yours right now! Click on the below Icontail Coupon Code banner. Your coupon code will be revealed in a pop-up. Save it! Visit Icontail and navigate to the Buy Now section. Select your Standard or Premium Icon Pack, and hit the green “Buy Now” button that corresponds to it. On the purchase page, click on the “Add Coupon” button on the bottom of the page. Copy the coupon code you revealed into the appropriate field and hit the green “Add Coupon” button. If you are within the first 100 customers, your 50% discount will be automatically applied and the final price visible in your purchase order. Done! You have purchased an awesome Icontail Icon Pack for half its regular price! 2050+ icons in both outline and filled version: 4000+ icons in total! Professionally designed by Pixel Perfect! Pack includes Icons designed for both iOS and Android! Each icon comes in 7 different sizes ranging from a 24 pixel grid all the way up to a 120 pixel grid! Available in multiple formats to ensure that you are able to open them in whatever design tool you choose to use. *Formats include AI, EPS, SVG, PSD, CSH and SKETCH! Icon fonts are also available in various formats including TTF, WOFF, OTF and EOT! All Icons are fully customisable in any vector editing software (Illustrator or any of its great alternatives) and supports smart stroke line control! This large collection includes icons for the most popular mobile platforms: iOS and Android. And you don't have to worry about quality, as they are all designed by professionals. Furthermore, the package is divided into 53 categories –such as Desktop Apps, Emoticons, Communications + Network, and more– making it very easy for you to find the right icon for each part of your project. As you see, it is a complete icon pack with literally everything you could need to create a fresh, compelling and easy to use interface in whatever kind of application it is that you are creating. Are you finding it appealing yet? If so, don't wait any longer, visit Icontail now! And if you hurry, you can be one of the 100 lucky customers getting this awesome icon set with 50% Off! Use our exclusive Icontail Coupon Code and seize the offer! How Does Icontail Benefit Me? Icontail's deal gives you a huge amount of icons at a very reasonable price, but the benefits for your projects go far beyond the savings. For one, the sheer amount of vector icons you get is par to the great variety among them. This means you pay for icons only once, and you get a wide array of icon designs ensuring you will find the ones that work for your needs, and you will also be stocked for multiple future projects. Plus each vector icon is fully editable in your favourite vector editing software, meaning that you can customise them in any way that you like for them to fit seamlessly into whatever project you are working on, be it an application, website or other piece of software that utilises a user interface. And the flexible license terms enable you to use these icons in virtually any way you want, for a one-time, low cost payment. 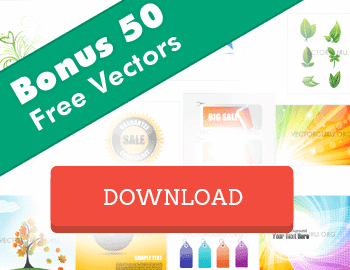 Once you purchase the Icontail pack, you have over 2050+ vector icons at your disposal for any project you have, without ever having to pay further royalties. Ever. As you can see, Icontail is a great deal that could solve all your icon needs at once. Its reasonable pricing should be reason enough to try it, but this offer also comes with enhanced benefits that will ease your design process and will pay off for long time! 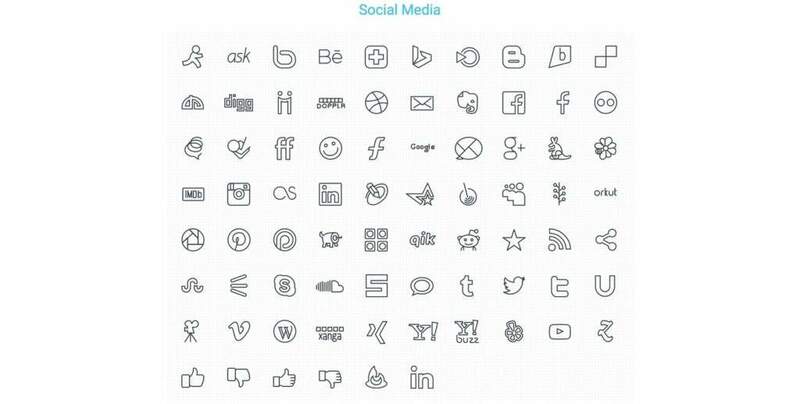 Are you ready to get beautifully designed icons for your next project? Get your Icontail icon pack here today! And remember, you can save 50% with our special Icontail Coupon Code if you hurry!